Pyjama Drama delivers drama and play classes for babies and children up to 7 years. Play is an essential part of childhood. 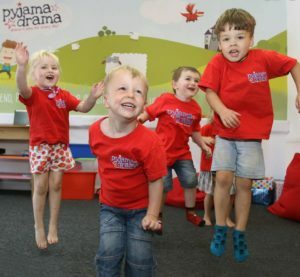 It develops skills that stay with us for life, and here at Pyjama Drama we’re experts in play! Our classes develop communication and language skills, concentration, social and motor skills, all whilst igniting the imagination! Children are led through magical adventures which allow them to learn about the world in which they live, develop essential life skills, make friends and have fun.